i am an old lady and monday is my depends. that could mean a few different things but to me it means i am taking a big fat dooper all over monday. nothing worse than getting home from vacation sunday night only to wake up monday morning and find that you have no cream (almond milk) for your coffee. well, new orleans was fun. my bangs stayed straight on saturday but curled up something terrible on friday night after a mysterious fog rolled in. 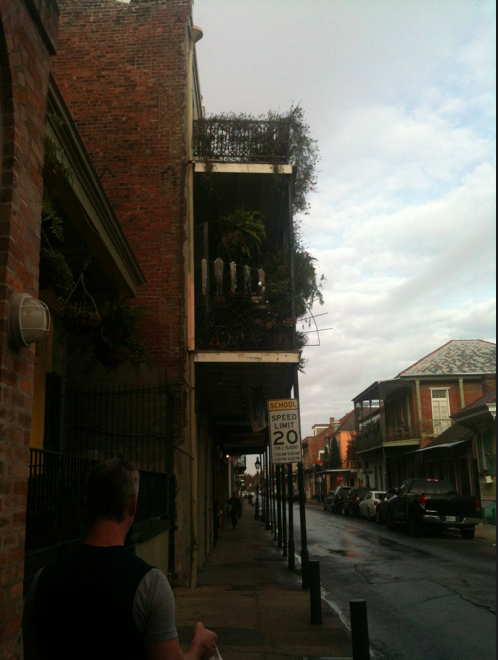 new orleans is an awesome place. and pooped and puked then threw it all over the floor and walls. i actually almost stepped in neon pink chunky puke sunday morning. this wasn't my first trip to new orleans...maybe like my 5th? each time i see it differently. i am there for different reasons usually and therefore just generally doing different things. 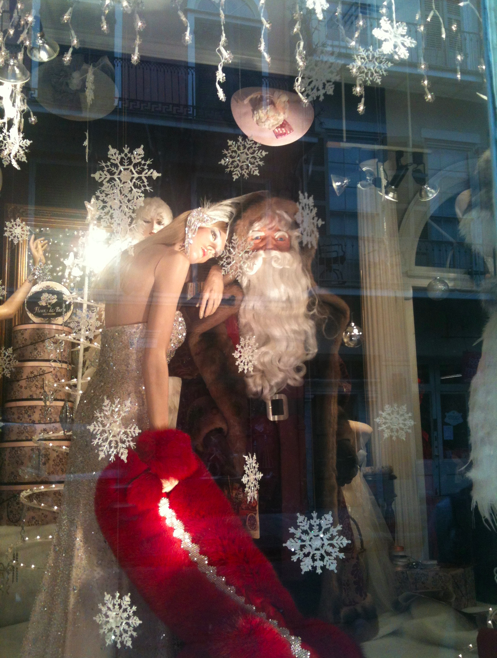 but each time i am there i am charmed enough to want to go back. despite the chunky puke piles and distinct smell of paris circa the plague. 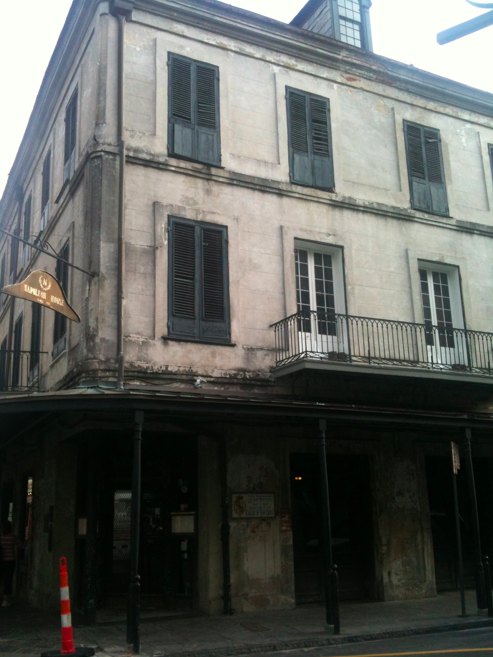 here are some (crappy) photos of our trip..
the napoleon house was supposedly intended to be a residence for napoleon after his exile. not sure if this is entirely true but he apparently never made it cuz he, like, died. in any case it is an amazing place. it looks a lot like it did when it was built in the 1800's. as in totally the same. the walls inside are peeling away. the outside is pretty ramshackle too. 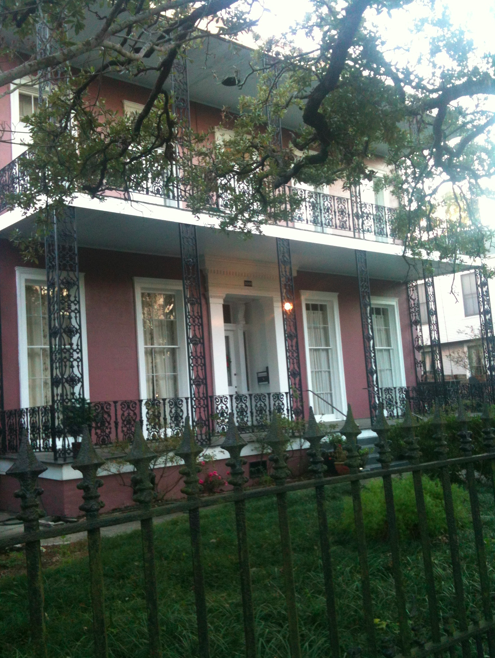 and for this reason arguably one of the most beautiful buildings in new orleans. i had a pimms cup inside and it. was. delicious. 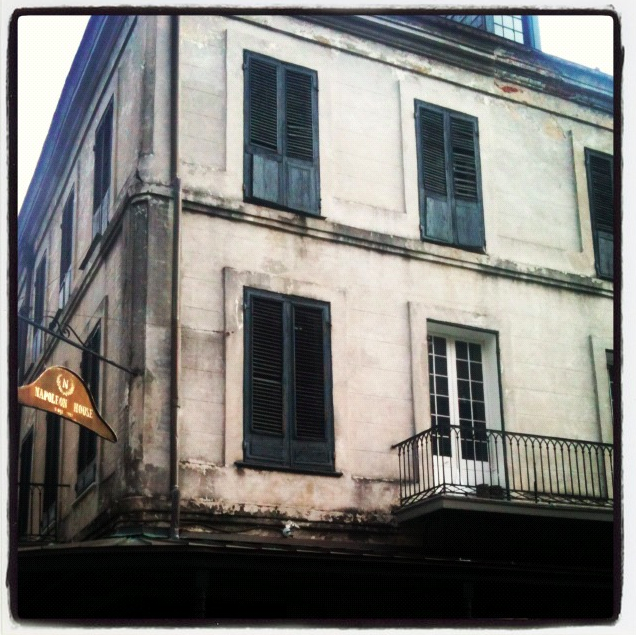 upstairs at the napoleon house. 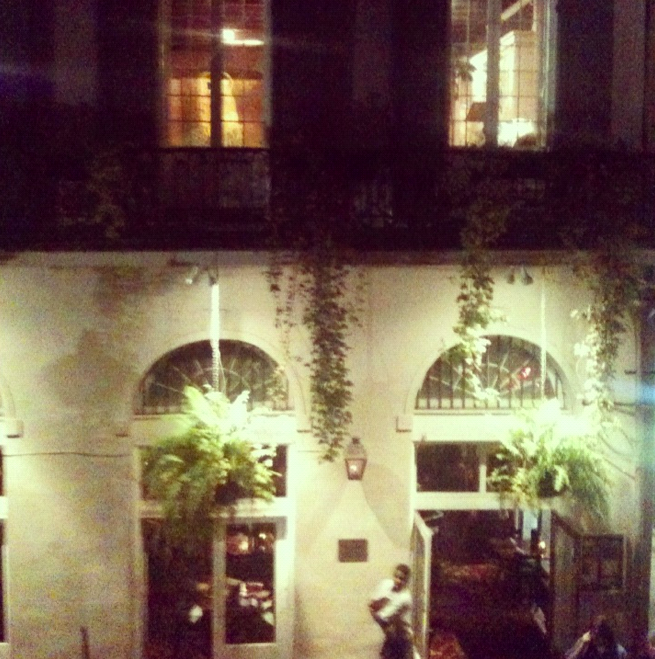 the view from the balcony at the napoleon house. 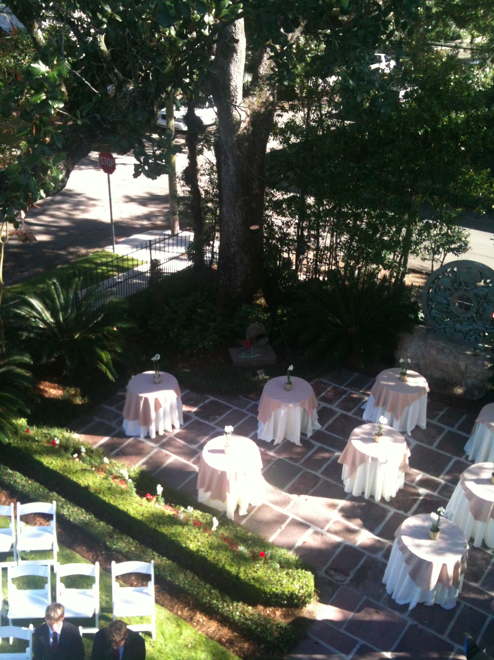 the next day was the wedding which was in a private residence. the man who owned the house was kinda old and kinda kooky. he had some odd things around the house..
starting with that solid brass ship propeller. it was brass from top to bottom. as in the propeller itself and that chunk of brass it's sitting on. please enjoy my "special" dance..
i spent most of my time with him. 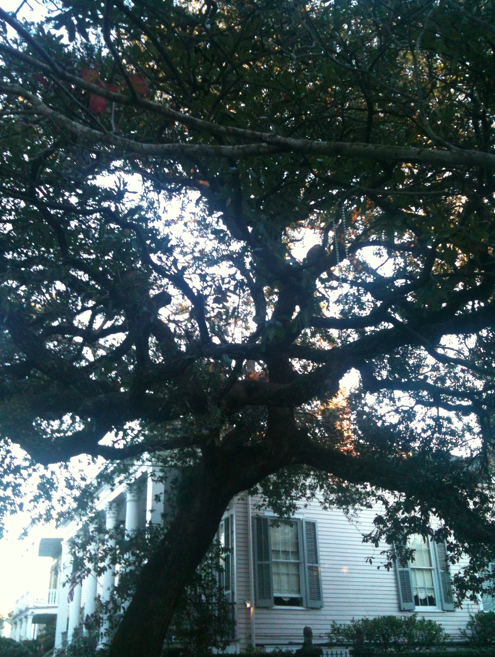 a beautiful old live oak..
when uploading this photo i noticed for the first time that there is a bead necklace hanging from one of the branches. they wash the streets and sidewalks every day in new orleans. they must have missed the puke puddle though. boots are a smart choice in new orleans. we came across this artist down by the park and were like..duh..
the cat eating the beignet. the artist's name is cary chun lee and all he has is a facebook page. the small cats were $65 and the large were $95. have you ever had a praline? mandy and lee had some as favors at their wedding and i want to get married again just so i can do this. i may have taken more than my share mandy. fart on monday all the way.